Key Requirement: Ability to speak and Write fluently in German is required. Meet and assist all arriving and departing Diethelm Travels guests and partner guests at the airport. Meet and assist VIP’s and CIP’s of Diethelm Travel and its partners. Coordinate with the resort, making sure that the guests are comfortable and looked after until the respective transfer or representative arrives. Attend to all complaints and action accordingly while updating the same to partner systems. Update and maintain various reports for partners. Inform guests about the destination happenings and resort’s facilities. Research and share general information on Maldives and its culture while hosting guests. Maintain written reports of activities and carry out other administrative work. Attend to any other duties detailed by the company. Ability to speak fluently in German. Ability to write fluently in German. A copy of a recent police report. Fluent in English (knowledge in any other language will be an added advantage). Ability to speak French would be key added qualification. Previous experiences in a similar capacity would be an added advantage. Interested candidates please mail your Curriculum Vitae and other necessary documents to below mentioned address. 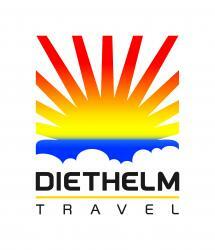 Diethelm Travel is an award-winning inbound tour operator servicing Asia. Our focus on delivery, heritage and local experience has enabled us to maintain a high level of service, which is reflected in all aspects of its operations.